Last year saw Craig and Charlie off the road focusing on writing their next collection of songs. They recorded their 11th studio album at the legendary Rockfield Studios in Wales in April with producer Dave Eringa (Manic Street Preachers, Roger Daltrey) at the helm. The album ‘Angry Cyclist’ was released to immense acclaim on August 10th (Cooking Vinyl) debuting in the UK Official Album charts at 17 and at number 3 in the UK Official Independent Album Charts. The Proclaimers 8th Top 40 UK album. 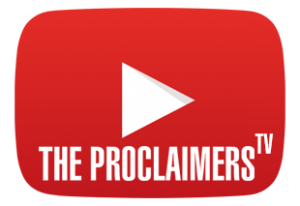 The Proclaimers then headed back out live from July through to December this year with 48 sell out dates across the UK and a 13-date tour of Canada from Victoria to Montreal. 2019 will see concerts so far confirmed for Iceland, Dubai, Singapore, Norway and further festivals and shows in the UK. The Proclaimers songs are timeless, capturing a gamut of human emotions, written with poignancy, emotional honesty, political fire and wit. Their songs feature at weddings, funerals and everything in-between and there is one song, an early celebration of falling head over heels in love that is known the world over and has become a staggering global anthem. There are many others that have gained great popularity in different parts of the planet and then there is a wide cross section of sublime songs embraced by a multitude that has kept up with The Proclaimers studio albums, compilation collections and extensive touring over three decades. Craig and Charlie have carved out a niche for themselves in the netherworld where pop, folk, new wave and punk collide. In the process, they have enjoyed Gold and Platinum singles and albums in UK, USA, Canada, Australia and New Zealand. They have even inspired a musical, the play and film Sunshine on Leith. The movie was the fifth highest grossing Independent UK film of 2013. The musical had its fourth UK run from April to June this year, with its biggest production to date by West Yorkshire Playhouse. 2018 also marked the 30th anniversary since the release of the Sunshine On Leith album. The Proclaimers released their 10th studio album ‘Let’s Hear It For The Dogs’ in April 2015, produced by Dave Eringa and then embarked on a mammoth 68 UK date tour which included (15 Festivals and 53 sold out theatres). Ents 24, the UK’s biggest live guide announced The Proclaimers as the 6th biggest live music act in the UK in 2015. July 2013 saw the release of a thirty-track compilation selected by Craig and Charlie from their 9 studio albums to date. ‘The Very Best of The Proclaimers’ (25 Years – 1987 to 2012). a host of UK festivals and concerts over the summer. The Proclaimers final concert this year saw them become the first Scottish band to play at the newly opened Hydro Arena in Glasgow in early October. Born in Leith in 1962, Craig and Charlie Reid grew up in Edinburgh, Cornwall and Auchtermuchty in Fife. At home, they listened to early rock ‘n’ roll and country greats such as Jerry Lee Lewis, Merle Haggard and Hank Williams. At school they played in punk bands and formed The Proclaimers in 1983. With a fervent live following growing in Scotland, particularly in Inverness where they performed regularly, their first big break came late in 1986 when they were invited to tour with The Housemartins. Then in January 1987 they made a now seminal appearance on the Channel 4 pop programme The Tube, performing Letter From America & Throw The ‘R’ Away. Singing in regional accents about Scotland – its emigration and its politics – they were a far cry from the mid-Eighties playlist staples of Rick Astley and Sinitta, and became a phenomenon almost overnight, signing to Chrysalis within a month and recording their debut album acoustically, This Is The Story, a week later, produced by the man who also signed them to Chrysalis, John Williams. Voted NME Readers Best New Band that year, they toured the UK extensively and a new ‘band’ version of Letter From America, produced by Gerry Rafferty went Top 3 in November. Complementing their raw, stripped down delivery with the greater musical scope of a full band, they then embraced country and rock on their second album, 1988’s Sunshine On Leith produced by Pete Wingfield, which also saw them form their first full live band and go on a 9 month World tour. In 1990, The Proclaimers had a huge UK & European hit with their King Of The Road EP. The Proclaimers returned in 1994 with Hit The Highway, an album that featured a three-piece brass section yielding the hit Let’s Get Married. A longer than intended break then ensued before a fourth album, 2001’s Persevere, was cut in Minneapolis. Produced by Chris Kimsey with an all star American musician line up, another fantastic collection of Reid/Reid songs re-established The Proclaimers as they went back on another mammoth year long World tour. Since then, the band have barely stood still, following the 2002 release of their Best Of they continued to tour extensively and one of that year’s more unusual highlights saw them perform on the pitch at Hampden Park to over a billion TV viewers before the 2002 UEFA Champions League Final between Real Madrid and Bayer Leverkusen. Two more acclaimed studio albums followed, 2003’s Edwyn Collins produced Born Innocent and 2005’s more soul orientated Mark Wallis/David Ruffy produced Restless Soul. 2005 saw another live career highpoint, opening the bill at the Live 8 concert at Murrayfield Stadium. 2006 also saw a notable appearance in an episode of Family Guy. In March 2007, they topped the UK singles chart with a rousing new rendition of their classic anthem I’m Going to Be (500 Miles), collaboration with comedians Peter Kay and Matt Lucas for Comic Relief, raising over a million pounds for charity in the process. EMI relaunched their 2002 Best Of collection, re-entering the Album Charts at No 5 with sales soaring beyond platinum. 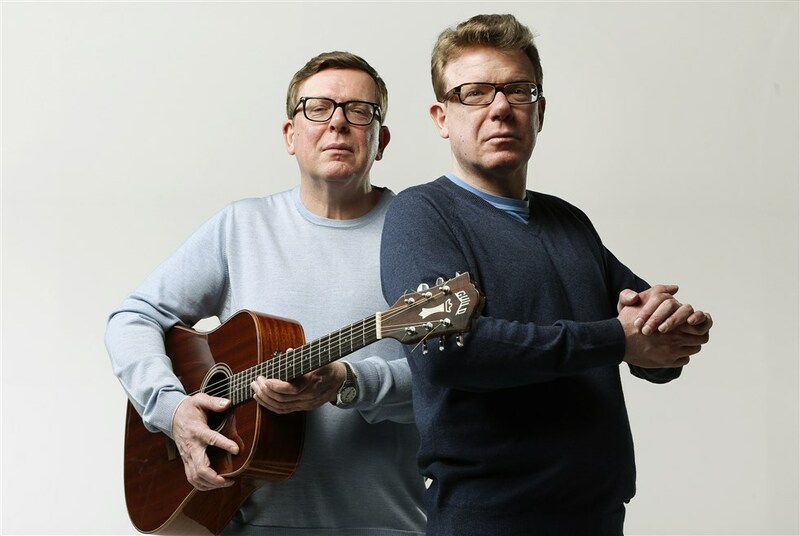 September 2007 saw The Proclaimers release their seventh studio album ‘Life With You’ (Universal) in the UK to fantastic critical praise and great commercial success. The Proclaimers kicked off their biggest ever UK & Ireland tour in October, 44 dates to over 100,000 fans. In Scotland, they sold more gig tickets than any other single act in 2007. Touring continued in 2008, with a huge 129 date, yearlong World tour, across Europe, two months coast to coast across the USA & Canada, followed by a variety of shows from Muscat to Bermuda, all brought to a triumphant conclusion with a concert at Edinburgh Castle. In 2009, The Proclaimers released their 8th studio album ‘Notes & Rhymes’ (Universal) and hit the road for another 95 date World tour. In March, Craig and Charlie headed over to Austin, Texas to make their debut at SXSW where they performed a series of seven acoustic showcases, including a one-off Scottish extravaganza, sharing a bill with Glasvegas and Primal Scream. Whilst 2010 was spent mainly writing, The Proclaimers performed at 21 summer dates in Europe climaxing with a main stage T In The Park performance. In October 2011 special editions of The Proclaimers first three albums were released on Chrysalis (This Is The Story, Sunshine On Leith, Hit The Highway), each containing the original album plus a bonus disc containing B-sides, live tracks and previously unreleased radio sessions, all newly remastered at Abbey road Studios, London. With producer Steve Evans at the helm, The Proclaimers released their 9th studio album ‘Like Comedy’ in April 2012 to great acclaim by leading independent label Cooking Vinyl. One of their greatest fans, Matt Lucas made his director’s debut on the video for the single ‘Spinning Around In The Air’ where he wrote a script for a Golden wedding anniversary descending into drunken mayhem and in the process managed to persuade Craig and Charlie for a career first, dressing them up as elderly ladies. The Proclaimers were then back out live with a busy summer in UK which included headlining the Hebridean and Big Tent festivals in Scotland, followed by another headline slot at Cambridge Festival, main stage appearances at the V Festivals in England and three shows at the Singapore Grand Prix. Another unique appearance occurred when The Proclaimers appeared on ITV’s Emmerdale – as headliners at Home Farm’s music festival, in an episode marking the beginning of the soap’s 40th birthday celebrations. October 2012 saw The Proclaimers head out on an eight week, 36-date UK tour, before finishing the year in style with a Hogmanay concert on the esplanade of Stirling Castle. Their songs have been used extensively in adverts across the World and the list of movies they have featured in includes The Commitments, The Crossing, Mama’s Boy, Bottle Rocket, Benny & Joon, Shrek, Dumb & Dumber, Bye Bye Love, Burke And Hare, The Angel’s Share, Bachelorette, Perfect Pitch. The Proclaimers songs, too, provided the inspiration to an enormously successful, highly acclaimed, award winning musical, Sunshine On Leith, put together by the Dundee Rep Theatre. Written by Stephen Greenhorn. The drama follows the highs and lows of 2 soldiers returning home from Afghanistan. Families, relationships and life in Leith are not all plain sailing in this exceptional love story about everyday life in Scotland. Directed by James Brining, the musical first toured Scotland in Spring 2007, returning in November 2008 for a 4 month run in Scotland and its first foray into England. The musical had its third outing a 4 month theatre tour (3 months in Scotland, 1 month in England) in Autumn 2010 with the cast for this run starring Billy Boyd, most widely known for playing the Character ‘Pippin’ in the movie The Lord of The Rings.